The remake of Patrick Leconte’s 2002 film stars Donald Sutherland and U2 drummer Larry Mullen, Jr.
CANNES – A superb re-make of Patrick Leconte’s 2002 film, Man on the Train is a scrumptiously literate character drama. 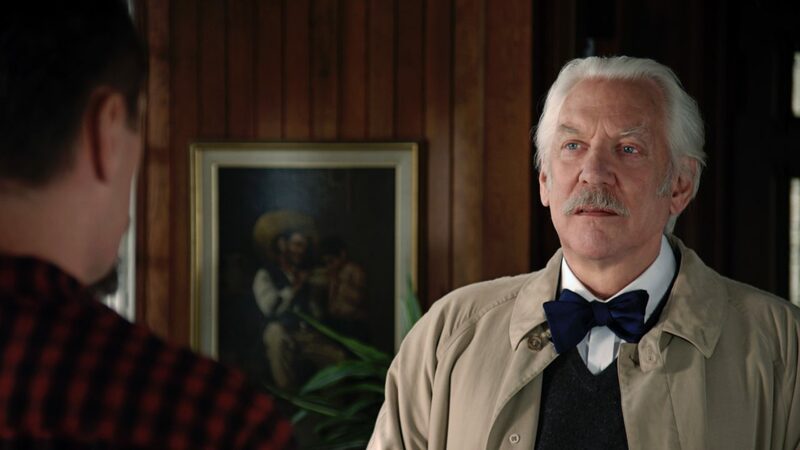 Starring Donald Sutherland and U2 drummer Larry Mullen, Jr., this well-crafted entertainment’s appeal will be to a mature, intelligent demographic. The stale professor, however, is stirred by a chance meeting with his psychological and professional opposite, a laconic criminal (Mullen) who rides into town on a train. This mystery man is in cahoots to rob the local bank, the very day that the Professor is to have heart surgery. Opposites do attract in this witty character study as the Professor takes in the itinerant to stay a few days in his comfy manse. Their polar differences spark a friendship: Each learns from the other’s point-of-view and way-of-life. Under Mary McGuckian’s perceptive hand, we’re treated to an unlikely personal bonding of two divergent personalities. Man on the Trainis a ripe illumination, buoyed by the sterling lead performances of Sutherland and Mullen. Sutherland lays out the rich inner life of a man who holds disappointment for the cautious existence he has maintained. Wondrously, the uneducated blunt stranger’s probes and blunt observations jolt the professor from his self-constraining views. From this uneducated bloke, he becomes aware that, in his own way, he has led a rich life, albeit manifested by his inner being. In exchange, the detached professor enriches the straightforward criminal to an alternate appreciation of life, as well. Cinematographer Stefan von Bjorn’s silken hues and production designer Jennifer Carroll’s vibrant furnishings are precisely right for this full-bodied film.